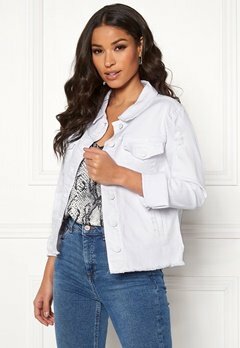 The denim jacket is a comfortable and trendy fashion piece, available in updated as well as classic styles. Bubbleroom has several affordable and trendy denim jackets in nice washes. We have distressed denim jackets, washed out denim jackets and denim jackets with pockets and buttons.